YouTube and other video networks started with a social intent, but their use in online business promotion has exploded as social marketing media has become part of the everyday. Google gives high marks for inbound links to a site from YouTube, and no SEO campaign is complete without including YouTube. Creating video content to market your business is a breeze with this entertaining program. Liv Montgomery, the eCommerce Gal teaches you how to leverage social marketing with video and YouTube. Put your online business promotion on the fast track now. Brought to you by Katherine Owen, CEO of GOKO. Katherine brings her expertise in the publishing industry and combines it with a powerful team. She owns and operates GOKO Publishing and is part-owner in a traditional publishing company, The GHR Press. Katherine holds a Masters Degree in Marketing and Management from Macquarie University’s Graduate School of Management (MGSM) in Sydney, Australia. Since the taming of fire, people have aligned themselves with various clubs, clans, groups, movements, organizations and sports franchises. The obvious illustration of this is rooting for your home team. Where were you last Super Bowl Sunday? The odds are high that you remember where you were, and that you weren’t watching the big game alone. This fact about association presents a great chance for anyone promoting anything, not just advertisers with over the top TV ads, but individuals too. In your case, this collective behavior offers a ripe opportunity to promote your book. I live in Seattle, a city where football team spirit is high. No, wait – high is an understatement. Football here is a mania, after the local team took a couple trips to the Super Bowl. Walk down any street on a Sunday afternoon, and you may feel like Charlton Heston in a scene from The Omega Man or Will Smith in I Am Legend. It’s that quiet; everyone is inside, watching the game. Fans don’t cheer feverishly only on game day here. Head out some Friday night to any pub, tavern or bistro. You’ll find that nearly 50% of the folks are dressed up in team jerseys and logoed sports caps. They’ve joined the tribe, and they live it. These fans give new meaning to the term “die-hard fan”. Imagine if just one-tenth of them were wearing the logo from your book cover too. What would your career as an author look like then? What if your book could revolutionize the culture and galvanize people together the way a sports team unites beer drinkers, even on a team’s night off? Using social media, this idea may not be as far-fetched as it seems. Social proof is a concept that plays to the deep-seated human need to be socially accepted. We assume that if other people are doing it, it must be the right thing to do. We don’t take into account what they know – just borrow their actions, believing the research has already been done for us. We don’t do it because we’re mentally lazy. We do it because we want to fit in and be accepted. This desire is so deep-rooted that we will even do things that are contrary to our best interests – financial or otherwise – in order to stay consistent with what we assume about other people’s decisions. Most people leaving a theater will go through the same door everyone else is using, even if there is an unused door right next to it. We subconsciously assume it’s the right thing to do. We do it on autopilot. The principle of social proof means we will convince ourselves of the correctness of other people’s decisions and make choices that conform to them. To speed up the decision-making process, we choose the path more traveled in the blink of an eye. Flying on autopilot is a fundamental aspect of human nature, and it helps us process the bombardment of messages we get all day long. According to a 2014 study by Edison Research, 67% of Americans are active on some kind of social media. More than 75 million Americans check their social media accounts several times a day. About 58% of us use Facebook. With two-thirds of the country checking in with their friends, family and neighbors at breakfast, lunch and dinner, there’s a whole lot of opportunity for you to promote your book – just by showing up. Testimonials & Reviews: Using testimonials on social media are a great way to access the phenomenon of social proof. Using social media, you can publish testimonials and reviews from people who fit the demographic or psychographic profile of your target audience. The idea is to show that there’s support for your book from people who look “just like me”. To do this, ask your biggest fans for real testimonials (yes, this can include your mother). You will be surprised by what people have to say, and you just may learn a thing or two about your book. The more you can demonstrate that many people support your work, the more others will perceive your book as something worth reading. Join Groups: Another tactic you can use is to join groups within your social network. Find congregations of people who most closely match your book’s natural demographic. Groups make for a ready-made audience, and often they are hungry to associate with published authors. You can find groups that are indirectly related to your topic as well, populated by your ideal audience. The key is to become a regular and active voice in the groups. LinkedIn is a great place to get started. Start a Group: Consider creating your own group, either within your social network or on your own membership site. You can promote your group to your network of like-minded friends of colleagues, and watch your engagement numbers skyrocket. Solve a Problem: Communicate a compelling promise or purpose that speaks to an intense pain or pleasure for your group. Offer a newsletter or ecourse so you can stay in touch with them, and show them how to overcome the pain or increase the pleasure. Street Team: Finally, you can create a tribe with the groups you affiliate with. Use these contacts to build a street team, a small collective of three to twenty people who are avid fans of yours. If you put them to work to promote your books in social media channels, you could well find yourself at the hub of a jersey-wearing crowd – one with your number on it. When it comes to measuring your influence in social media, many professionals turn to services like Klout.com to measure their effectiveness. Setting up a profile takes a few minutes, and the ongoing reports will help keep you on-track with your effectiveness in social media channels. Download today and instantly enjoy the free audiobook Sell to Anyone featuring Zig Ziglar, Brian Tracy and Dr. Larry Iverson. Competing for a writing award is an often-overlooked tactic in the book marketing list of “To-Dos”. But is it worth it? Let’s take a look. Back in the day – I mean way back – citizens of the Greek Empire knew they had made it big when they were crowned with a wreath made from bay laurel leaves. You know the kind: the pungent herb you use to season your holiday bird. The ancient Greeks used laurel wreaths as awards for accomplishments in sports as well as poetry. Later on the Romans copied the Greek custom and awarded laurels to victorious conquering generals. Judging from the size of the Roman Empire, they must have gone through a lot of leaves. Eventually the generals got lazy, a lot of internal squabbling happened, and the empire declined. So too did the custom of awarding laurels. Laurel wreaths are still used today as the symbol of academic success, and they’re sometimes used in graduation ceremonies for master’s degrees. A poet laureate is someone who’s been given this distinction. After the ceremony, there’s a lot of feasting and often a sad good-bye to days of scholarly endeavors – no more burning the midnight oil or striving for literary perfection. This is where the phrase “resting on your laurels” comes from. It means relying on your past successes and not pursuing new challenges or paths to glory. Well, at least for some….not for authors! Why does this matter today? As a matter of habit, or maybe just human nature, we are obsessed with competition. As soon as something is invented, right on its heels comes a new kind of award. We just can’t seem to stop comparing one thing to another and crowning the moment with a token of our esteem. Ask any Nobel laureate. And it’s fitting, isn’t it? What better way to memorialize the moment or benchmark the best? A stroke of genius deserves recognition, whether it’s a gold medal in the international Olympic games or a regional award for a new work of fiction. Usually with this recognition comes some kind of remuneration and some amazing publicity opportunities. We just love to recognize the best, hold it up for example, and challenge anyone to do better. It makes for forward progress in the most wonderful way. This brings us to the topic of book awards and the enormous boost they can give to your reputation – and your book sales. Winning an award for your book may seem unlikely at first blush. After all, the competition and requirements for submission are usually thought to be pretty stiff. But in reality, the fee for submitting your magnum opus for Pulitzer Prize consideration is only $50. Some authors spend that weekly at their friendly neighborhood Starbucks. Imagine carrying around the title of “Award-Winning Author” on your business card. You just might get past some velvet ropes a little easier with that kind of clout (hey, it could happen). Besides Pulitzer and Nobel, the list of prominent book awards reads like a “Who’s Who” at an acronym convention: PEN, NBA, NBCC and Booker to name a few. But there are lesser-known, more accessible challenges to meet, such as Benjamin Franklin, Independent Publishers Guild and Writer’s Digest. Besides bucking the competition for the major brass rings, you are much more likely to win the Sophomore Cup and be the proverbial big fish in a small pond. The Benjamin Franklin Awards: the Independent Book Publishers Association is a non-profit organization that offers advocacy and education. Their Benjamin Franklin Award honors independent publishers and self-published authors for excellent book editorial and design. Independent Publishers Guild Award: the IPGs Independent Publishing Awards celebrate the achievements and successes of IPG members. Frankly it’s a great way for them to drive membership, and it’s a great way for you, the author, to connect and network with other serious professionals. IPPYS – Independent Publishers Book Awards: the Independent Publisher Book Awards (the IPPYs) shine a light on excellent independent, university, and self-published books each year. The independent spirit comes from all corners, and books are judged on merit, not necessarily polish. Foreword Magazine Book of the Year Awards: Foreword Reviews is dedicated to discovering new indie books. The INDIEFAB Book of the Year Awards help showcase the best indie books for readers eager to discover new stories by unknown authors. Dan Poynter Global Book Awards: winners of this ebook award get the customary hoopla that accompanies book awards – stickers, social media buzz and press releases. As a winner you’ll also be considered for a one-year scholarship award for Dan Poynterís Para Promotion Program. eLit Awards: the eLit Awards are committed to illuminating and honoring the best of English language entertainment. The eLit Awards include digital publishing in a wide variety of reader formats with submissions from around the world. Do you have any favorite literary awards? If so, send me a message via www.MadeForSuccessPublishing.com/blog or LinkedIn Messaging and I’ll update this list periodically for the benefit of the writing community. Successfully marketing your book basically means letting people know that it exists. After all, you wrote down your best ideas so that others would read and enjoy them. Getting more book sales translates to more people sharing your best ideas – fact or fiction— and benefitting from them. As the person who’s primarily responsible for promoting your book, one smart move you can make is to leverage the huge media potential available to authors. Doing this will mean you won’t be the only person touting your book. You’ll have massive media outlets helping you out. The problem with using traditional publicity is that the process can be intimidating. Buyers for book distributors and retail book stores decide how many copies to order per outlet based on publicity and demand. Getting regional or national exposure helps drive that demand. But how can you get publicity for your book when there’s so much competition for face time in the media? The answer lies in preparation. Having a complete media kit prepared ahead of time for all your publicity contacts will ensure that they have access to everything they need to decide to put you in front of their audience. In fact, a media kit will stack the odds in your favor, and getting mass exposure becomes a matter of making yourself available to media outlets. Time starved magazine editors, radio personalities and TV talk show hosts are all looking for completeness and professional presentation. They need to see a total package that will help them out with their stories. If you can present them with the material they need ahead of time, you are much more likely to land that interview, book review or feature. This preparation comes in the form of the media kit. 1) Your Author Biographies – Yes, you need more than one bio. Depending on the length, these may include your professional background, your experience as an author, and even information about your lifestyle such as where you live. 2) Your Press Release – This should include meaty useful content, citing you as an authority on the topic with a reference to your book. It should not be an announcement that you’ve written a book. There’s no quicker way to bore a journalist, and these are the people you want to excite. Click here for tips on writing a Press Release for your book launch. 4) Publicity Photos — Offer more than one type of publicity photo. Make sure these images are professionally done with nicely balanced contrast and clear, sharp focus. 5) Sample Interview Questions, Tips, Quotes and Sound Bites — People in the media may not have the time to read your book, so make it easy for them to understand your work. Include sample interview questions in your media kit. Radio and TV personalities especially love these. Journalists love to see list of tips that they can reprint in connection with your book. All media people love to use quotes and sound bites, so feed them what they want. The thing to remember about your media kit is that it’s a work in progress. It will constantly need to be updated. If you set it and forget it, in time it will forget you. Stay active in the life of your book’s publicity. With proper care and feeding, and it will provide you with fat royalty checks for a long time to come. Bryan Heathman is the President of Made for Success Publishing. Bryan works with bestselling authors in the role of publisher and marketer, including the late Zig Ziglar, Chris Widener and John C. Maxwell. Bryan is the author of Conversion Marketing, a marketing book that condenses knowledge on website conversion from 7-years running an online ad agency. Bryan’s Fortune 500 experience includes running high impact marketing campaigns for Microsoft, Eastman Kodak and Xerox. There are several thousand ways to successfully publicize a book that I’m aware of, and some are more effective than others. For example, you can promote your book by selling it back-of-room during speaking engagements, and you may actually make thousands of sales this way. The problem with this approach is that your own involvement limits the number of sales you can make, as the opportunities to speak are scarce… as is your time. This “scarcity principle” applies other marketing tactics I’ve seen authors use – not just public speaking engagements. Imagine how much more effective your marketing efforts will be when you invest your time instead of spending it. Think of the activities you can do that will offer you leverage. Using traditional media such as radio, TV and print can give you massive leverage. By putting your book in the hands of other people who can reach a large audience for you, you are leveraging their audience. Imagine sitting down for an interview with a radio talk show host. How many people can you reach in one 10-minute chat? What would audiences for your book look like if a dozen radio shows picked up a press release you distributed? How might your book launch change if your interview became syndicated? What would a stint on Good Morning America do for your sales? Using traditional media such as radio, television, newsprint and magazine exposure for your book can make or break your sales numbers. This is anything but boring. By distributing your book through channels that will automatically publicize your work to large groups of people, you are investing your time and resources wisely. Let’s take a look at how you can apply this kind of leverage to your Book Marketing Plan. Whether you’re looking for a burst of heat from your initial book launch, or your topic is evergreen and you’ve got your eye on long tail sales, publicity can give you the leverage you need to put your book into the hands of readers. Social media and other interactive types of publicity are great for this. Yet for most authors who take the time to draft a Book Marketing Plan, somehow traditional publicity keeps getting lost in the mix. Despite the prevalence of social media in our daily lives, traditional media is still not only an effective publicity generator, it’s often the most effective way to sell pallets of your published book. The three months surrounding your book launch are a time of intense activity. With the right chemical mix of traditional publicity and social media, you can be sure that your book continues to make sales long after the launch is over. A media kit helps establish your credibility and enhances your reputation before you even start your marketing campaign. This means buying resistance to your books will be much lower. People will be more inclined to believe in you when you have a solid reputation. A media kit is a branded set of marketing materials that’s rich with content, not hype. It includes collateral material for journalists, book reviewers, talk show hosts, bloggers and consumers. Frequently a time-starved journalist won’t take a minute to look into the media kit to make their decision about whether to cover you. They’ll rely on the summary you provide. If your information is complete and looks professional, they will simply use the material you have given them. People in the media don’t have time to read your book, so make it easy for them to understand your work. If you are considerate of their needs, they are more inclined to cover the story of you and your book. Include sample interview questions in your media kit. Radio and TV personalities especially love these. Journalists love to see list of tips that they can reprint in connection with your book. All media people love to use quotes and sound bites, so feed them what they want. Above all, make sure you provide your contact information right up front. In fact it should be on every part of your media kit and every page of your website. No one should ever have to guess how to reach you. Do you have questions about what to include in your book media kit? Click here for the 5 essential elements of a book media kit. By leveraging traditional media, you can launch your book to stellar status join – maybe even join the galaxy of published superstars. The only question that remains is, how high do you want to go? As an author, the best thing that can happen for your book is that titillating four-letter word we all love and fear at the same time: BUZZ. Getting people to read and talk up your book is what it’s all about. Buzz is the reason for those late nights hunched over your keyboard with an empty cup of something at your elbow, while a long-suffering significant beckons from the next room to come back to bed. An audience for your greatest ideas is the reason to lie awake, staring at the ceiling, piecing together the right words to express your ideas. Buzz is the reason to take the contents of your head, convert them to verbiage and digits and publish them in an ISBN-backed, endorsement-bedecked, jewel-tone-covered volume called My Great Work. Clearly, buzz is what you want. The goal is to generate a flurry of well-deserved hype over the 3-month time frame surrounding your book launch and thereby tell the world your story. But how does a lone author working from a spare room get buzz, and how much is enough? Let’s start this question of buzz by addressing the topic of book reviews, or what professional marketers like to refer as social proof. There are 2 types of reviews which authors seek – professional reviews (trade reviews, media outlets, etc.) and consumer reviews. Let’s take a deeper look at getting consumer reviews. From legacy publishing digests to rogue Indie publishing specialists, information abounds online about how to successfully launch your book and get reviews. After all, consumer book reviews are the bread and butter of many a book launch campaign with good reason. One thing has been proven…consumers make buying decisions based on social proof. Last week I took a fantastic scuba diving adventure with my daughter, exploring reefs and shipwrecks off the coast of Florida. After seeing the tropical fish in the delightfully warm 86 degree water, Alex, the store manager of the scuba shop, asked us to log into TripAdvisor to write a review. Alex knows how important reviews are to his business – both in terms of positive reviews and the quantity of reviews. The same principles of getting reviews for a scuba diving shop can be applied to books. Plenty of quality reviews on Amazon.com alone signals the difference between the roar of the crowd and the figurative chirping of crickets. With authors I advise on book marketing, I require at least 30 reviews on Amazon before we can take your Marketing Plan to the next level. The reason is that several highly effective book marketing tactics require that you have this number before you can launch a substantial campaign. So, what are the steps you can add to your marketing checklist to kick-off your book launch with lots of reviews? 1. Develop an overall Marketing Plan. Think about how you can market your book as you’re writing it – not as an afterthought. If you wait until your manuscript is finished, you will either delay the launch or suffer from low book sales. Include book reviews as part of this plan, and draft a clear, specific strategy for getting them. 2. Write a great book. The book you write should stand up to thoughtful analysis, whether it’s fiction or non-fiction. Have it professionally edited, commission an excellent cover, and let your book stand on its own merits. Friends and Family: reach-out to your inner circle of people closest to you and ask for a favor to write a review once your book is published. Some authors can achieve the requisite 30 reviews from this source alone. Fans & Supporters: keep a list of people who know, like and trust you. These folks will have the greatest emotional investment in the success of your book. Many authors will organize a “book launch tribe” who perform various tasks throughout the book launch. Using social media networks is an excellent forum for organizing tribe members. Colleagues: list the people who are in your industry who would be interested in supporting your work. You can trade promotion with them and perhaps even launch a joint venture promotion. Reviewers: these are people who have an established reputation in the field of literary criticism. This category includes book bloggers, media personnel and celebrities. Notable reviewers can be your most effective allies in getting attention for your book. Podcasters: remember podcasting? Well, it’s back, and it’s on the rise. Currently Americans listen to 20 million hours of podcast material every… single… day. (No lie.) Team up with podcasters to review your book and help you spread the word. Better yet, recommend that they tie their review to a 3-part series that includes an interview with you and a retrospective on your topic. The more you prepare material for them, the greater the chances of success for both of you. Online Retail Communities: request book reviews on from top reviewers on Amazon.com, GoodReads.com, iTunes, BarnesandNoble.com and other similar e-tailers. Be polite, be informative, and follow up. Finding these reviewers is easier than you think…keep reading. 4. Get engaged. Cultivate relationships with the people you want to review your work. Be willing to trade your engagement with them for their thoughtful comments about your book. Be ready to get involved in their conversations on their blogs and social media. Participate. In this area, the more attention you give, the more attention you will receive. 5. Get social. Use social media to generate excitement about your work in progress. Don’t just release your book – launch it. As your big day approaches, make it clear that advance copies of your book are available in exchange for credible reviews. The number of copies you give away will have a marked impact on the number of reviews you receive. However, scarcity sells. Position the review copies as a scarce commodity, even when you’re giving away a thousand of them. In fact, expert review campaigns in advance of your book launch can lead to best-seller status for your book. I’ve seen it happen time and again. Promoting review copies on social media is a great way to jump start your campaign. Getting quality book reviews isn’t rocket science, and it doesn’t have to keep you up at night. After all, those long hours spent staring at the ceiling are best kept for crafting your magnum opus. Using these 5 steps will make your book promotion that much easier and help you get the kind of buzz you’re looking for. The right reviews at the right time can be just the nudge you need. Third-party validation is a sure-fire method of getting people to draw a conclusion about me or my book. In fact, a well-known endorser has proven to add instant credibility to books and professional speakers. This book is the most efficient, effective path to living up to the potential inside you. No other author delivers so much yet still leaves the reader hungry for more. Each delicious word lolls around on the palette like a chocolate-kissed gem – you’ll want to try these foolproof recipes for yourself. The author is clearly the most knowledgeable person of our time and a credit to society. Put on your thinking cap – this book is lightning in a bottle. You won’t be able to put it down. It probably didn’t take you long to decide that if you had written these blurbs about yourself, then you would have probably stopped at #2 (if you were feeling generous). However, if any of these quotes about your work came from a head of State, a New York Times best-selling author, or the winner of a Nobel Prize, you’d probably crack the cover on your book and read at least a couple of lines (chocolate-kissed gems, anyone?). Third-party validation is the most compelling reason to go after book endorsements for your work. It’s also a very intimidating step in the list of things that an author must do to get noticed in the crowded book marketplace. In terms of phobias, requesting endorsements is not far behind root canals, furry South American spiders and that dreaded numero uno… public speaking! But unlike the items in the paragraph above, getting book endorsements doesn’t have to be all that scary. There’s really very little risk involved, and the benefits far outweigh the price of your request. The few steps below will help you ask for—and get—the endorsements that are so critical for your book’s success. It’s simple. Don’t ask, don’t get. Ask, and you just might collect a priceless recommendation from someone you really admire. Having the thought leader in your field say good things about you is sure to up your ratings, not to mention your book sales. So ask for the endorsement. Now that we’ve established this is an important step to take, let’s take a look at what you need to do to get your first “Yes”. 1. Ask an Author. Authors are usually responsive to requests for book endorsements. They “get it”—start with the experts in your field or genre. You’d be surprised how easy it is to get a response, especially when you remind them of the exposure they will gain from your marketing. 2. Ask an Expert. Experts also thrive on exposure and professional courtesy. Aim high when asking for an endorsement. I typically get a 20-50% response rate using the system I’m giving you here. 3. Send Your Endorsement Letter. Starting with a letter, request a endorsements for your book. In fact, I’ve gone as far as creating an Endorsement Request Template which I share with authors published by Made for Success Publishing. Your letter can either be inserted into the body of an email, or it can be mailed as a physical letter. Your tone should be complimentary without sucking up, and you’ll need to briefly state something that the two of you have in common. Make sure they know how to contact you in reply. Just last week, I sent an endorsement request to a famous author whose book has sold 25 million copies. His book also has a major motion picture releasing this quarter. He sent me a response saying “maybe,” based on his ability to squeeze-in this request during his upcoming new release book tour and red carpet movie premier schedule. 4. Send Your Book Review Materials. Once your endorsement prospect has answered your letter and said “yes” or “maybe” it’s time to give them the tools to do the job. Offer an at-a-glance summary of your book: the introduction, the table of contents, and a couple of sample chapters. Use your judgement about whether to mail a copy of your materials or send it via email. If you send an email, provide a website link with a protected URL where the endorser can download a PDF as some folks are shy about opening email attachments they receive from strangers. 5. Include Endorsement Samples. Make some suggestions about what your endorser might say. Prepare three or four sample endorsements, since people in your network may ask you to write the endorsement for them. Make the comments easy to digest, but also let them glow a little around the edges. The endorsements you collect can be quite valuable for you and your book, long beyond launch day. It helps to think of the time and effort involved as an investment. What you put in will return to you in the form of dividends. Book endorsements will be featured on your website, Amazon.com, in your marketing materials, on your book jacket, on sell sheets that are sent to retail book buyers, and many other places. The time and resources you invest in this stage of your marketing campaign is more than worth it. The right book endorsement will open doors for your writing endeavors, your book, and your paid speaking opportunities. Bryan Heathman is the President of Made for Success Publishing. Bryan works with bestselling authors in the role of publisher and marketer, including the late Zig Ziglar, Chris Widener and John C. Maxwell. Bryan is the author of Conversion Marketing, a marketing book on converting website visitors into paying customers. Bryan’s Fortune 500 experience includes working for Microsoft, Eastman Kodak and Xerox. 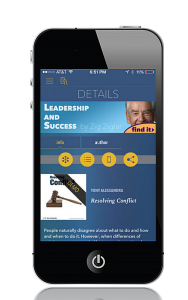 Get access to some of the world’s top minds on Leadership and Motivation in this new iPhone app.This powerful library in a unique universal app will motivate and inspire you to change and improve your life and the lives of others. This collection of life-changing audios includes masterpieces on personal improvement, inspiration, leadership and business success from famous speakers, authors, thinkers and self-made millionaires. FREE audio with download,“Resolving Conflict” by professional speaker and coach Tony Alessandra. Learn invaluable tips on how to deal with conflict and create positive resolution. For authors seeking that elusive “best-seller” status, self-promotion can be your best tool for driving laser sharp traffic and increasing book sales. Of all the self-promotion options available, distributing press releases is probably the most overlooked method. It’s unfortunate because it can be highly effective – especially if your press release is picked-up by a major news outlet, journal or magazine. In a few rare cases, it can even launch you to stardom. The mistake most authors make with this tactic is believing that the launch of their book is news in itself. Nothing could be more boring to the buying public than banging your drum about launch dates and press runs. Your angle needs to be one that touts your problem and solution, mentions you as an author or expert, and includes the name of your book almost as an incidental point of fact. The topic of your press release needs to be timely or even cheeky – something with an off-beat hook that captures the reader’s imagination. You’ve got to make them feel what you feel about your topic, and then demonstrate that reading your book is the only logical next step. Besides being a gripping read, a good press release is timely, newsworthy, and contains links to your book listing so readers can get more information about it. Every day, publishers, editors and journalists pick up press releases as they mine for breaking news within an industry. This offers valuable exposure for you and your book. One success story I want to share with you is from a professional speaker and author I know named Keith Harrell, who had an extraordinary experience with this kind of publicity. One day Keith was contacted by a reporter who had seen his press release. The reporter was writing a “Day in the Life” story about half a dozen professional speakers for a financial newspaper. Sounds a little drab, doesn’t it? I mean, who wants to be relegated to a by-the-way blurb in a dry-as-toast financial journal like this? That’s what all the other speakers thought. In fact, the reporter had contacted six speakers and asked each one for an interview. But Keith was the only one who responded to her call, so the reporter ran a full-page article devoted just to Keith. Lucky Keith! It turned out that the reporter was writing this article for the Wall Street Journal – yes, THAT dry-as-toast little financial journal. Through this one event, Keith Harrell went from virtual obscurity to fame overnight. This led to his success with a New York Times best-selling book and a multi-million dollar speaking business. I have to add that in order for the reporter to contact Keith in the first place, Keith’s press release needed to contain certain elements, and it had to be a good read. It had to capture the reporter’s imagination, and it needed a clear call to action at the end. Here’s an outline you can use for your own press releases. First, plan to write more than one. Then make sure that your press releases all contain the necessary elements, which I’ve listed below. Make it easy for anyone interested in your work to find you, contact you and promote you. Finally, distribute your press releases to as many relevant media hubs as possible. In your press release, include links back to your website to create more traffic and create buzz about your website. Writing articles and distributing them via partner websites and article distribution websites (such as ezinearticles.com) are also excellent sources of free traffic. Lead your press release with the main problem and its solution in the first paragraph. What problem does your book solve? What solution will readers find? Lead the press release audience to your book obliquely. That is, state the problem and solution, then mention that your book supports this premise. Include anywhere from 3 to 7 tips from your book, and tell people how they can find out more. Lead with the key character at the beginning of the press release. Include the emotional angle of your premise. Tell people what emotions they will experience as they read the book, and help them preview their reading experience. As you write your press release, be clear about your target audience, and speak directly to them. Write your press releases for consumers, bloggers, journalists and the Google search algorithm. There are several large news services where you can distribute press releases with newsworthy information to reporters worldwide. Some of these include PRNewsWire.com and businesswire.com, to name just a couple. As you dive into this promotional medium, you’ll find a whole new world to discover. Now… get cracking! The world is waiting to discover you. Katherine Owen, CEO of GOKO, brings her expertise in the publishing industry and combines it with a powerful team. Katherine owns and operates GOKO Publishing and is part-owner in a traditional publishing company, The GHR Press. Katherine holds a Masters Degree in Marketing and Management from Macquarie University’s Graduate School of Management (MGSM) in Sydney, Australia. Bite Size Advice is now available in both paperback and as an eBook. While there are many blogs, not all are created equal. One which stands out from the crowd is a thought-provoking and eclectic blog written by Paul Thomas. 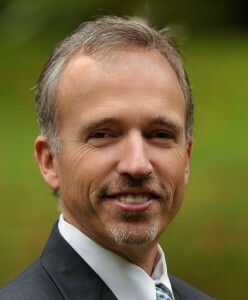 Paul is the Chief Executive Officer of Gateway Credit Union in Sydney. Gateway was a relatively early adopter of blogging and maintains one of Australia’s leading business blogs. This book is a compelling collection of some of Paul’s blog posts – 100 to be exact. His weekly posts are a combination of economic commentary, thought leadership and financial hints. What ties these seemingly disparate categories together is that they are all written through the prism of a banking and financial services lens. For a limited time, eBook is available for .99! Unless you’ve been sleeping under a rock (or a clay tablet), you probably know that the publishing industry is in the middle of a revolution right now. You see the evidence everywhere. Mass publishing has seen greater changes in the past ten years than at any other time in history since the invention of the Gutenberg press. In 1436, Johannes Gutenberg built a machine to mass produce books, and the first one he printed was the Bible. That one event helped change the world, putting consistent and important information into the hands of the public. Now producing and distributing information is accessible to the general public. This happened because of sweeping changes in technology, including the Internet, ebooks and smartphones. For better or worse, any Joe can publish a book now, and it doesn’t have to rival Holy Scripture in order to be published. This means there’s never been an easier time to get your name out there as an author. What used to be nearly impossible in the context of legacy publishing is now commonplace. No longer do you need an agent, publisher or publicist to claim the Holy Grail called “published author”. But is there a downside to this change? What roles have these publishing professionals traditionally filled to earn their keep? Let’s take a quick look at some history and assess whether publishing is really the smart choice. Though the Gutenberg press launched the mechanized publishing industry at the dawn of the Renaissance era, the process of distributing information is thousands of years old. The job of scribe – one who copied books for a living – dates back to ancient Egypt. Scribes were commonly authors as well. Knowing how to read and write was not all that typical; and so you could say these authors were really published! With the Printing Revolution of the 1400′s, quality control became a factor. Publishers needed to make sure that the manuscripts they produced were up to grade. Thus, the job of editor was born. There was also a glut of manuscripts on the market, and so publishers became a bit choosier. This spawned the role of book agent. Up ‘til now, book and magazine publishers spent a lot of their time buying or commissioning content. Typically these seemingly stuffed shirts would only consider manuscripts submitted by an agent. (Imagine!) To get an agent, an author had to write a book synopsis, market analysis and sample chapters of their handiwork. It was a lot of work, though it did focus the project in a way that is now seemingly unheard of. Once a book was accepted for publication, the negotiation would start, nailing down a number for the purchase price, with haggling back and forth. Intellectual property rights and royalty rates were the chief commodities, but there were also movie rights, tie-ins and merchandising to consider. Think Harry Potter, one of the most successful book series in history. All of this activity was – and is – predicated on conversion, the act of converting prospective readers into buyers. As with all industries, commerce is key. The difference between Gutenberg and today’s publishing industry is that Gutenberg published the Bible. He just didn’t have the distribution problems that you and I face today, and converting book browsers into book buyers was no problem. You wanted a copy of the Bible? You’d go see Gutenberg. He was the only game in town. Now the publishing industry has exploded, and it’s easier than it has ever been in history to get your book in print, literally or virtually. Services like Smashwords, CreateSpace and Pronoun make it possible to make your book available worldwide at the click of a button. Any first-time author who’s repeatedly been rejected by the stuffy agent/publisher model can see why this opportunity is so attractive. However, there is a downside. Easy publishing means there is no mandatory check on an author’s skill or quality of the work. Any person with an Internet connection can publish their work, regardless of its literary merit or readability. Beyond this obvious point is one that’s even more compelling. Because there’s so much content that’s now being dumped into the marketplace, overcoming obscurity is now the author’s greatest challenge. Competition is at an all-time high! In fact, it takes a team of about 30 well-qualified people to put a book into play – to take it from the author’s mind to the readers’ heart. It seems those old fuddy-duddies who once provided a filter between the author and the marketplace actually did perform a viable service. Editors, graphic designers, distributors and a salesforce all play a useful role in a successful book launch. This means that in order to be successful as a published author, you need to get really good at wearing about 30 hats. You can either grow a lot of heads, or call in some reinforcements. Congratulations, Dr. Sally Ernst, on your newest book GOTCHA! Your Little Black Book for a Safer E-xperience. Cyber Security in a Language Anyone can Understand. Gotcha! The essential handbook on Cyber Security for business executives. Gotcha! raises awareness of the serious nature of the cyber security threat and provides practical steps and key questions that will help assess potential threats. Gotcha! Is an easy-to-read, yet deeply informative resource book that addresses the crucial issues of 21st century life. When I think back over my life I realize that I have had my own booster club: People who gave me a boost, either through direct help, opening doors to others or opportunities, or through their belief in or encouragement of me. I think of my mother who was left a widow at age 40 to raise me alone. She believed in me. She sacrificed for me. She gave up much so that I could become what I dreamed of. My mother was my booster! I think of a man who is the CEO of a twenty five billion dollar a year company who, when I was only three years out of college and striking out on my own, sent me a check out of the blue. It wasn’t an investment; it was a gift. Then he sent another… and another. Every month for nearly 7 years he sent me a check. Nothing large enough to live on but enough to be a sign that he believed in me. When I asked him why he did it, he said, “Because I believe in what you are doing and that you are the one to do it.” To have someone of his stature believe in you! Wow – is he ever a booster! I think of my good friends, Tony and Jenni. When they were married they moved in right next door to us. They have become our best friends. Every step of the way they have loved us, challenged us, and encouraged us. They have been there in the darkest hours and in the brightest days. They are definitely boosters! I think of my two friends named Kevin. The first, my best friend, lives here in Seattle. He is a guy that I laugh with, talk about things with and thoroughly enjoy all of my time with. He always comes through for me. In fact, as I right this, he came through for me just yesterday! When I know that I need a boost, he does whatever he can. And being one of the most competent men I have ever met, he always gets the job done. Major booster! The second Kevin lives in Atlanta. He is a “new” friend but has already been a big booster. He has been willing to open doors for me that I never would have been able to budge because those on the other side would have been unwilling to open them. But on his recommendation, they have. A great booster and a person I will get to know better throughout the years. I think of Kyle. Kyle has boosted me literally millions of times – ever time he publishes my articles he helps me bring my message to the masses. To know that a person like Kyle sees the value in my message is an incredible boost! I think of my most fanatical booster, my wife Lisa. No one believes in me more than she does. In fact, there are many times I wonder who she thinks she’s married to! She sees the best in me even when there is nothing good to see. She sticks by me through it all and encourages me to go for my dreams. What a blessing – what a booster! I think of my kids. They boost me every time I leave in the morning and when I come through the door at night. They boost my life and my career! Above all, they boost my happiness and my spirits each and every day. Big boosters in little bodies! One, make a list of your boosters. Then take a moment to send them a note to say thanks for what they have done and been for you! Second, decide for yourself that you will be someone else’s booster! Be very specific and begin to invest yourself into that person’s life. Encourage them. Open doors for them. Challenge them. Give of yourself to them so that they can soar. Be their booster! 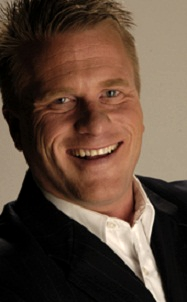 Chris Widener has been speaking professionally since 1988 and has shared the stage with top political figures, nationally known TV news anchors, best-selling authors and professional athletes. Chris has written over 450 articles and is the author of eight books including the New York Times best seller “The Angel Inside”. He has produced over 30 audio programs on leadership and motivation and is one of Goko Publishing and Made For Success Publishing’s prolific authors. Have you dreamed about writing a book? Getting your book into the marketplace has just become easier than it ever has been in the history of writing. For the first time ever, you can pen your prose and publish to the world at large in about as much time as it takes to bake a cake (Okay, maybe a little longer). Gone are the days of traditional publishing: writing your book proposal, shopping for an agent, pushing your manuscript to 47 publishing houses, signing away your copyright (and the bulk of your revenue), hiring a publicist, and running the grueling circuit of a PR tour – all for the glory of being a “published author.” There’s no more need for a middle man when it comes to publishing your cherished work. Let’s say you are indeed an author. You’ve just finished writing your book. It took you a year to finally get your best ideas into manuscript form, scribbling into the wee hours while your friends are out doing… well, whatever normal people do on a Saturday night. Finally the last comma is in place, and your weekly writers group has given your book the coveted Seal of Peer Approval. In fact your work is so polished, you’re bored with it. But you’re excited to get it in front of millions of readers, who of course will become millions of raving fans just as soon as you can figure out how to actually get your book out there. What’s the first thing you do? Well, if you’re like most first-time authors, you give your book a title, grab some swell stock imagery, throw a dart at a price-tag, and upload your book to Kindle Direct Publishing. And then you wait. And wait. And wait some more, wondering why your royalty statement is producing big goose eggs. So when will your sales reports hatch into real, hard numbers? Welcome to the plight of the vast majority of authors. It’s only during the fourth week after you pushed the GO button that you realize your book’s title has a typo in it, or you’ve misplaced a period in the “Ph.D.” after your name (these are real stories from real self-published authors). You also start to wonder if pricing your book at $99 dollars instead of 99 cents was a good idea. Many people read “Self Publishing for Dummies” and then start to wonder what went wrong after they hit the big green “Publish” button. Do you know the perfect pricing formula for a book? How do you find the perfect price point for your book? How is the physical book pricing related to ebook pricing? Most authors are in love with their work and want to price it confidently. They grab a number from one of their favorite books and throw it at the wall to see if it sticks. Such an approach makes for a tangled mess. It’s not long before we’re back to wondering why we keep seeing zeros on the sales report. The odds are high that you’re an incredible writer, but not a publishing expert. Did you know that it takes a team of 30 people to get a book onto the shelves of a bookstore? How are you supposed to know what your book should cost? Here are some practical tips to consider when determining your book pricing. Let me encourage you to price your book confidently. You actually can sell it for a higher price if you have a focused audience. But what authors don’t understand is that if you price your book at a lower price point, counter intuitively it does not create more demand for your book. In fact, often a lower price has the opposite effect. Here are a few book pricing tips to price your book like a publishing pro. Sell for a Lower Price If…. Amazon is not the only game in town when it comes to book distribution, but they have significant influence over book pricing. Amazon does offer massive sales potential if you play the game intelligently. Therefore it’s worth giving it special attention here. Publishing with Kindle Select is one way that authors drive traffic to their book title. The program’s main benefit is that your book is free for 5 days, sometimes generating a ton of traffic if promoted correctly. The problem is that you’re required to publish the book exclusively with Kindle Select for 90 days, and the exclusive status is set to auto-renew unless you remember to turn that feature off. After you give away your ebook for free for 5-days, where should you price it after the promotion? $.99? $3.99? $11.99? One of the little known pieces of research is this: sadly, people who download free ebooks generally don’t read them. Your cherished manuscript just sits on someone’s tablet or phone, collecting digital dust. It languishes between the second volume of the Harry Potter saga and a scanned copy of War & Peace. Unless you’re blessed with uncommon celebrity and awesome cover artwork, don’t give your book away for free unless you have a strategy behind your pricing plan. Your accountant will thank you. One pricing study from $12 million of ebook sales suggests the optimal ebook price point is $3.99. But is that the optimal price for a 196 page book priced at $17.99? Or is it the perfect ebook pricing for a 450 page hard cover book priced at $29.99? What about a children’s book or an electronic-only cookbook? This is where the guidance of a publisher, a battle scarred author or agent can yield rich dividends for your writing endeavors. •	How famous is the author? •	What is the genre of the book? What is true for a serial sci-fi novel may not be true for a business book. •	Will the book get reviewed by a respectable Reviewer? •	Has the book been submitted for awards? •	What is the page count of the book (or word count of the ebook)? •	What marketing endeavors will support the book launch? •	Will the physical book be sold into retailers? Book pricing is part art and part science. Since you have invested a year of your late-night Saturday nights pounding the keyboard, spend some time researching the pricing strategy of books in your genre (over time). Don’t you think your book deserves the best possible chance of getting read? When you take the time to understand your marketplace, you can beat the odds and increase your chances for impressive royalties. I Could NEVER Write a Book! Did you know that over 70% of people have written down “writing a book” on their bucket list? As such, I get business executives frequently asking me on planes or at the gym about what is involved in writing a book. Years ago, I was one of these people who wanted to write a book but didn’t know how to get started. Now having done written a book (on top of a busy schedule), I share the process of writing with aspiring authors all over the planet. My advice for aspiring published authors is simple…all it takes is the right kind of preparation. In other words, you have to prepare to succeed. But many people in my sphere of influence don’t just want to write a book – they want to write a best selling book. In fact, they come to me on their quest to get famous as a result of writing a book. So the question remains, even though the marketplace is swamped with books, can you become a best selling author? The answer is “of course!” But why am I so sure? Because the best seller lists are populated by authors – and somebody’s got to be on those lists. Why couldn’t it be you? The right kind of preparation and the knowledge of where to apply some extra effort can make all the difference between just another book release and a runaway hit – with you holding the reins. As a publisher, I’ve worked with some of the best-selling authors in the world. Some of them truly are great writers. Ironically, others are merely great marketers. To me, it takes a winning combination of both in order to be truly successful as an author, to have staying power and to reach the top. Like any goal, you need to begin with the end in mind. In high school, my wrestling coach had this quote on the wall of our gymnasium: “If You Fail to Plan, You Plan to Fail.” Every day our team would reflect on this philosophy, and we were encouraged to develop a plan to overcome our weaknesses and leverage our strengths. Now many years later, this philosophy has proven to hold true in many pursuits…including building best-selling books. Writing a book that becomes a best seller is feasible if you start your book project with the proper planning. Following the same niche-vetting process is required for every book, fact or fiction, no matter what your reasons may be for writing your manuscript. Once you determine what to write, preparing the book for your selected niche market becomes part of the writing process. The first decision to make about your book is the decision to approach it with a sense of professionalism. Decide what your book is about and who it’s for. Understand who your competition is. Decide that you will complete your book and that you will publish it. Give yourself a deadline, and work steadily to meet it. Commit fully. This is the one distinguishing factor that all successful authors have in common – professionalism. To get started with the proper planning and preparation you’ll need to create a book proposal, no matter which publishing model you choose. Whether you’re going to shop your manuscript to legacy publishers, self-publish it or choose something in between, proper planning is one of the biggest steps you can take on the road to best seller success. The reason is that your book proposal will help you focus your writing ideas and help you treat your book as a business. The proposal includes a synopsis of your book, an analysis of your market, a comparison of competing books that are already in stores, and your plan for marketing your book. If you are already in the business of writing or speaking, take a look at the sales figures from your previous works and include these numbers in your proposal. Also include the number of speaking engagements you can line-up during the next twelve months, along with any book tours, media appearances, press releases, blog posts, and social media figures and projections. When your details start to take shape, so does the outline of your book. As part of your preparation, ask yourself the following questions. Include your answers in the pages of your proposal. Why do I want to write about this particular topic? Find your topic and angle. Do you have any story ideas or other compelling points to make? Start with a seed idea then build on it. Even the great works of the ages began with a simple seed that blossomed into rich maturity. Using stories is a great way to create a gripping, readable, authoritative book. What do I want my book to do for me and for others? Determine whether your book will support another part of your business. Decide how you want your book to affect others and what you want them to take away from the experience of reading it. Which specific audience do I want my book to attract? Are you writing fiction for stay-at-home moms looking to spice-up their daily routine? Are you writing Leadership materials for up-and-coming executives under 35 who are striving to build their career success? Know your target audience and get inside their heads. Who else is writing successfully on this topic? What kinds of tactics are they using to gain exposure for their book? Success leaves tracks, so follow in the footprints of other best sellers. Which format is best suited for my book? Should I publish in print, digital ebooks or both? Amazon sells more digital eBooks than print books. Surprisingly however, most authors make more income from their physical books. Having a well-designed physical book will boost your credibility. Who would most likely be a good evangelist for my book? Take a look at the people in your inner circle and your social networks. See who is the most likely to serve as a center of influence for promoting your book, then figure out an incentive for them to talk-up your book. It’s well within your reach to become a best-selling author. In fact, in some cases you can be a #1 Amazon Bestseller with a minimal marketing effort, given the right niche. When you break it down and take the right steps to reach your publishing goals, what sounds unwieldy today becomes matter of fact tomorrow. The important thing is to get started. You’ll miss 100% of the shots you don’t take – so take a shot. Why not get started sharing your legacy with the world today. Bryan Heathman is the President of Made for Success. He works with bestselling authors and consultants which have included the late Zig Ziglar, Donald Trump and John C. Maxwell in the role of publisher and marketer. Bryan is the author of Conversion Marketing, a marketing book on converting website visitors into paying customers. Bryan’s Fortune 500 experience includes working for Microsoft, Eastman Kodak and Xerox. Copyright 2014 Goko Publishing. All Rights Reserved.